There are many times when we are given big news in our life but perhaps one of the biggest days is going to be the time that we find out we are becoming a father. Because it is such an important thing to tell, expecting mothers have become quite creative in how they give the news. Some of them may throw a little party or they might find an idea online but this woman did something that was so out of the box, it is worthy of an award. When Nikk Rock found out she was pregnant, she knew that she needed a creative way to tell her husband. She thought about it for quite some time and then decided on something that she had never heard of before. She enlisted the help of the Hurst Police Department so that the news could be shared with style. 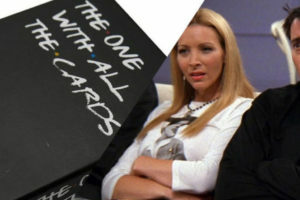 Her husband could never have guessed that something was coming his way that was so awesome. 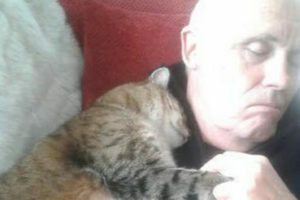 The couple was driving along one day when a police officer pulled them over. 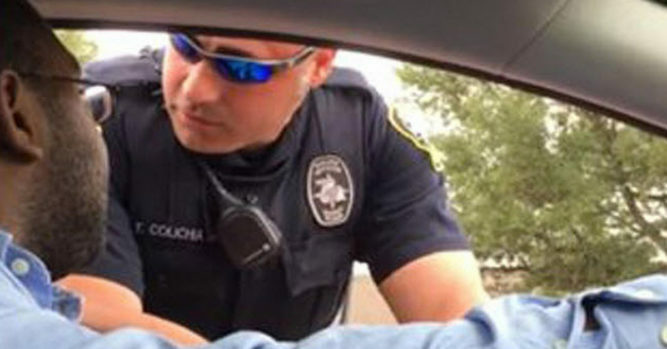 Her husband was driving and he had no idea why the cop would be stopping them. He started fidgeting with the settings on the radio and his wife told him to relax. 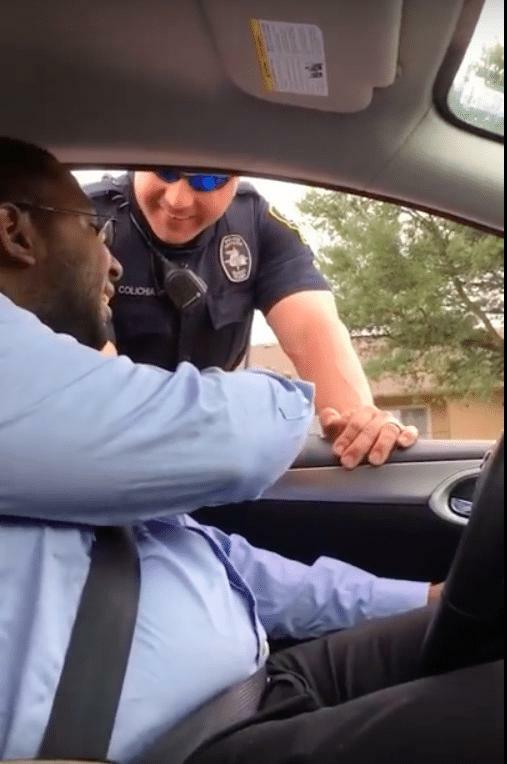 As the police officer approached the car, the couple then realized that they knew him. Even though that was the case, her husband didn’t seem to calm down much. After the officer and driver talked for a little while, the police officer got down to business. He said: “I gotta be honest. The reason why I stopped you is you have a child in the car with no child seat.” He then pointed to an empty backseat and sure enough, there was no car seat back there. Then again, there wasn’t a child back there! Suddenly, he realized what was taking place and he smiled from ear to ear. 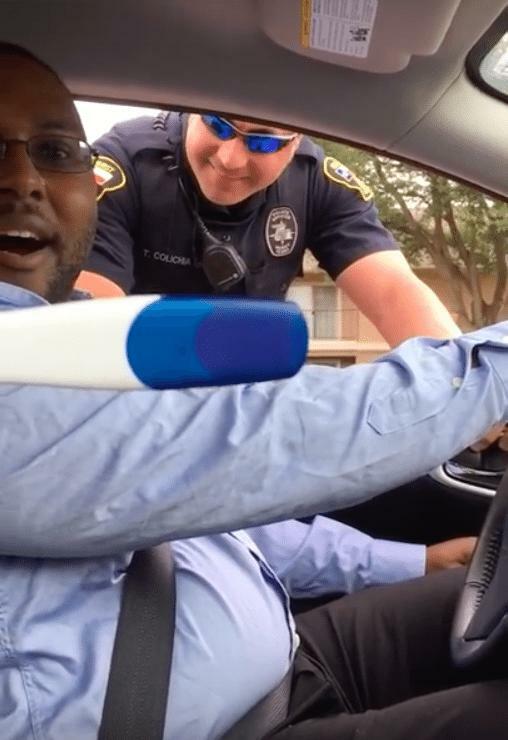 He held the pregnancy test in his hand for a while, unable to believe what he was seeing. The police officer said: “I think that means you’re a daddy, buddy”. 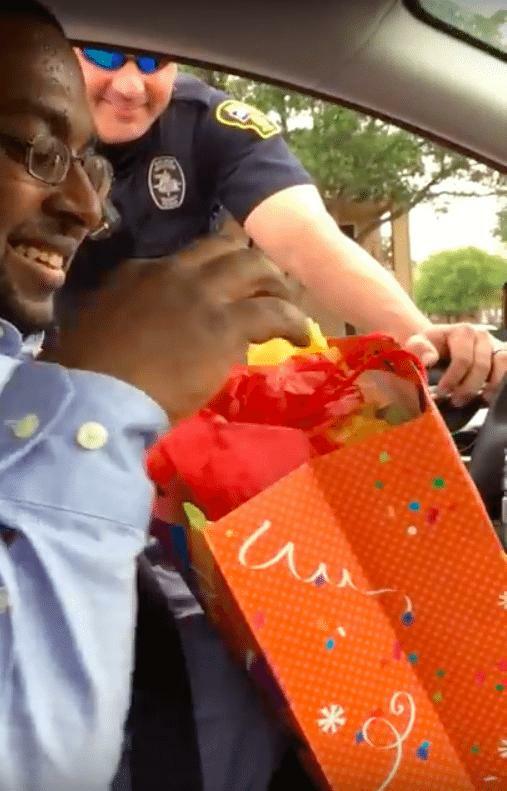 His partner then gave them a present for their little surprise. It was a teddy bear that told the father that the baby was due on his birthday. The couple laughed and kissed because they were so excited about what was taking place. It’s a unique way to tell a very old story.